I played football a good portion of my youth from Pop Warner through my freshman (and only) year of college, and as most young ball players do, I followed and read about pro football with dreams of playing the big time. Well, as you can probably guess, my dream of playing pro ball never materialized, and I ended up in the carwash business. I guess there wasn’t much call for six-foot, 220-pound centers with bad knees in the NFL…. Their loss! My time playing football, however brief, instilled several values that I’ve carried with me in both my personal and professional lives. The most important one, I believe, is the power of teamwork. If you’re currently not working as a team, you’re missing out! In the CarWash College Management Class, team brainstorming is one of several team activities conducted throughout the week. What is brainstorming? Brainstorming is a technique that teams use to generate ideas on a particular subject. Do not elaborate on ideas until after the session. Generate as many items as possible. As many items if I had done this by myself? A team magnifies the number. As good quality? Probably not. In as fast a time? No, it would have taken longer. It gets everyone engaged in the decision making process. It builds loyalty to brand and to other team members. It gives members a sense of belonging. The next time you run up against a subject or problem that has you stumped, trying calling a team brainstorming session. The results may just surprise you. 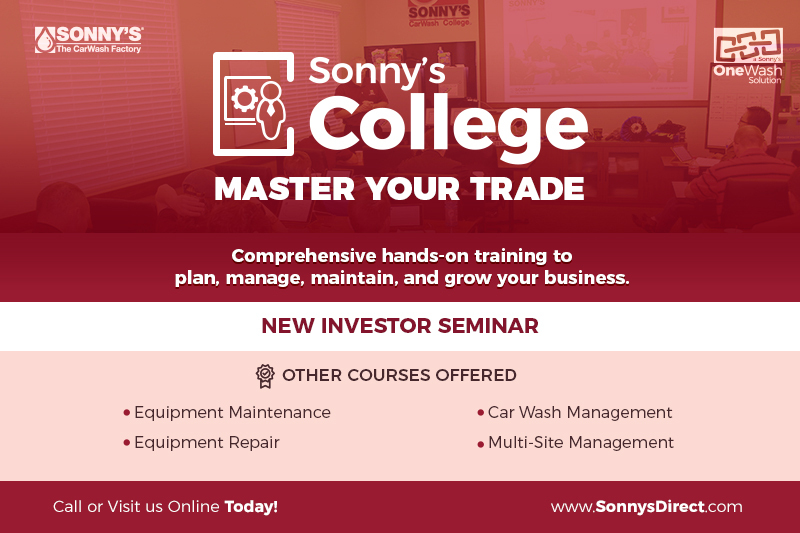 Bob Fox has over 30 years of industry experience and is an instructor and the manager of CarWash College™. 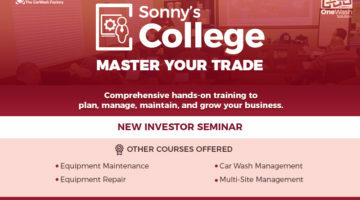 Bob can be reached at [email protected] For more information about CarWash College™ certification programs, visit www.SonnysDirect.com or call the registrar’s office at 1-800-327-8723.